Book a half price trial for your first ever Hartbeeps class for just £3! 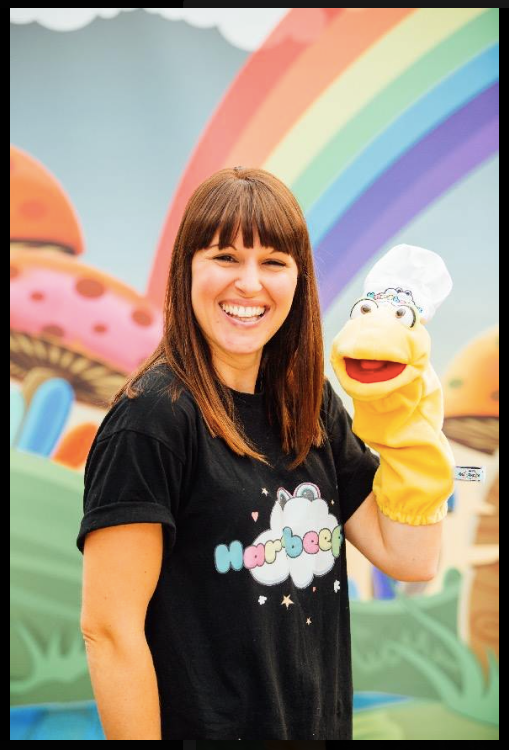 My name is Sarah and I have been running Hartbeeps Peterborough since November 2018. Before that I used to contract in St.Neots running Hartbeeps classes there since January 2016 so Hartbeeps has been a part of my life for a little while now! Why do I love Hartbeeps?! Well I love music, singing (although it's not my forte! ), acting and getting to watch children grow in confidence and develop further into wonderful little people! AND, I get to smile everyday at work!! It doesn't even feel like work! I have a daughter who is 4 (almost 5) and is in Reception at school and is loving it! She really loves playing with all of the props and puppets I have at home! My house constantly looks like a Hartbeeps explosion but I love it! I also have a son whois 10m months old and is very close to walking. He is already a climber and a cheeky monkey but is super cute so it's hard to the cross at him! I have already met such amazing families since starting Hartbeeps Peterborough at the end of last year and created some wonderful memories with them all and I can't wait to do that with lots more of you too!